Forward, back step, side to side. You want the mobility and maneuverability that our Stealth offers, not just forward motion. These shoes are comfortable and a delight to wear. Wear them any time and anywhere, except on turf! 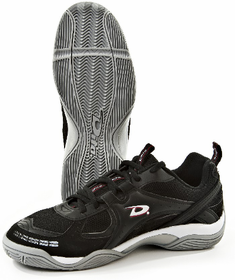 A WHITE version of this shoe is offered in two tread color options, GUM SOLE or Gray Sole.